IT Cosmetics is having a HUGE TSV (Today's Special Value) Set going live Friday, November 20th for ONE DAY ONLY! I wanted to be the first to share it with you all in case you were pondering upon the products inside this huge set! The Top 5 Super Stars Set includes: Celebration Illumination Foundation, Bye Bye Under Eye Full Coverage Concealer, Hello Lashes Mascara, Brow Power Universal Brow Pencil, Vitality Lip Flush in "Je Ne Sais Quoi", and NEW Heavenly Luxe Master Brush. The set is $59.94 or you can use the Easy Pay option and make 3 easy payments of $19.98 + SH. 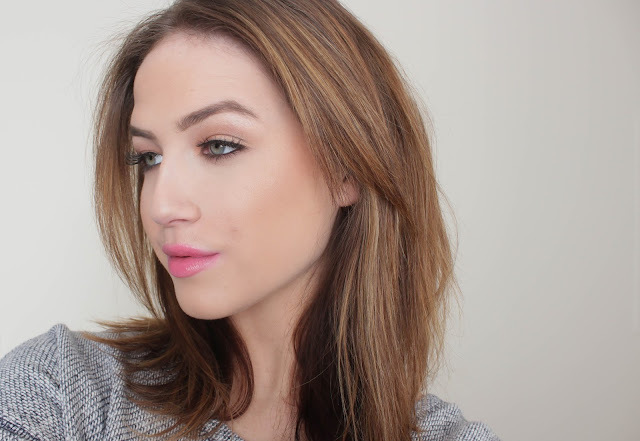 -Brow Power: LOVE the Brow Power! I discovered this quite a few months ago and I've been hooked ever since! -Vitality Lip Flush: This was the first IT product I ever tried! I love the buttery smooth texture and subtle hint of color it gives your lips. It feels like instant hydration! -Bye Bye Under Eye: This is my top concealer for dark spots or dark circles. It seriously get's the job done and you're left with no trace of darkness. -Celebration Illumination Foundation: I had previously tried the original Celebration Foundation and wasn't too crazy about it. I like this formula much better. It has a subtle sheen or luminosity to it which I prefer in powders! -Heavenly Luxe Master Brush: I just have to say that IT Cosmetics literally nails it on the head with their brushes! They are sooo luxurious and worth the $60 of this set alone. I love how versatile this specific brush is. You can use it with powders, creams and liquids! The whole sale is worth $185. 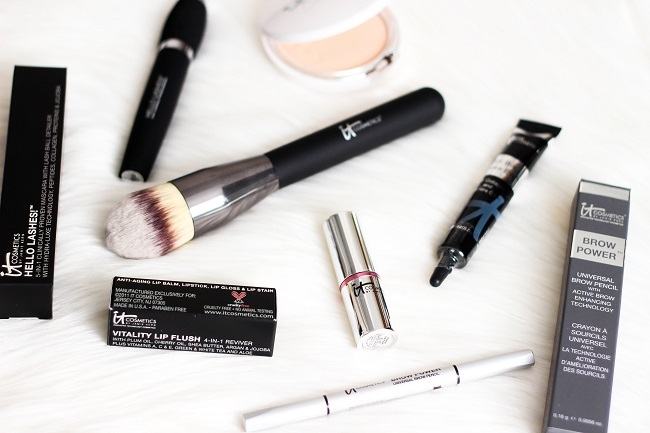 I'm always an advocate for IT Cosmetic's products because I believe in them and their company. The brand itself is so innovative when curating products. They always release original concepts and products and I love that! This set is perfect for IT Lovers and IT Newbies because it's filled with the classics - the products that customers have chosen as the best! I have to agree with everything they included, although I would have LOVED to have seen the Pressed Bye Bye Pores Powder ;) Just my opinion though! 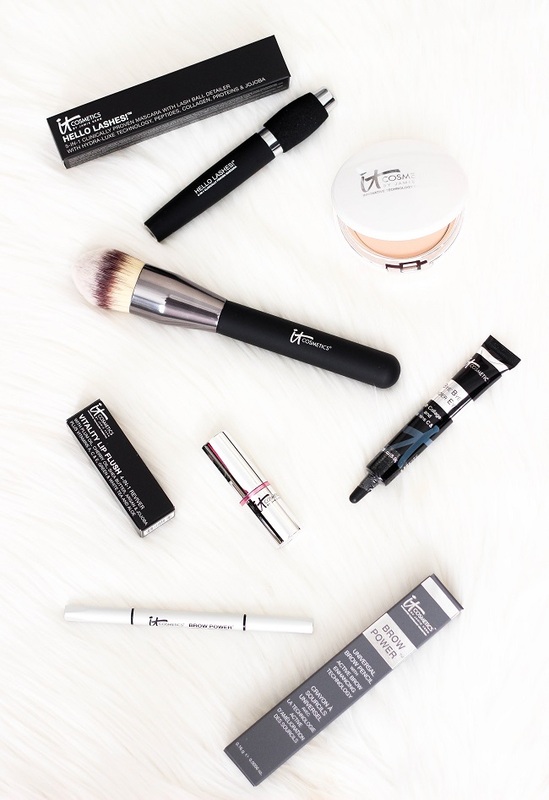 IT cosmetics is an underrated brand, these products look amazing! I love IT Cosmetics! I like their Hello Lashes Mascara although and Bye Bye Undereye from b-glowing!